Any-hoo, I was on Twitter the other day, checking the profiles (I always check) of those foolish enough to follow a profane gnome (there’s a mute button and I’ll never know you’re using it… just saying,) and one of the fools, @PracSerious announced their thirteen page read was free on Amazon and politely requested (on their own profile) readers to give a try and maybe leave a review. Well, reading thirteen pages is a small ask time wise, so what the hell. Have you ever come across something so creepy that by the end of it your neck-hair is standing on end? Something so terrifying that days later, your heart suddenly starts pounding in the middle of the night and goosebumps race down your arms? Well, that’s what this thirteen page read did for me, and since it’s October, I want to share that scary goodness with you. 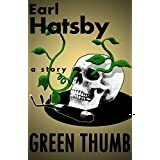 Earl Hatsby’s Green Thumb is the chilling short story of a man’s desperation to save himself and his brother after a failed rescue attempt. Unfortunately, now he’s also part of the serial killer’s strange obsession, and his brother is running out of time. While I’ve read similar tales with similar endings, this story’s strength is in its evocative imagery. Earl’s ( I think it’s important to be on a first name basis with the men keeping you up at night) ability take mundane objects and twist them for horrific effect is nothing short of sublime. And those lovely opening sentences aren’t even my favorites, but I don’t want to give anything away. 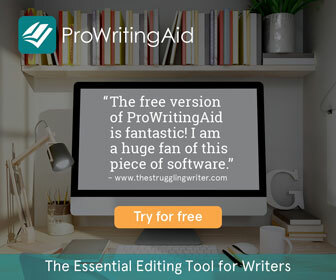 KU subscribers can read it for free and the rest of the world can read it for 99¢ . Previous Post I’m an American Liberal who happens to be white and I support this message.